NFL RedZone whips around every NFL game on Sunday afternoons, delivering all the touchdowns and exciting moments LIVE in HD. When a team goes inside the 20 on their way to the end zone, you will see the crucial plays as they happen. NFL RedZone puts you first and goal. Watch every touchdown from every game on Sunday afternoons. It’s only $54.95 for the entire season! 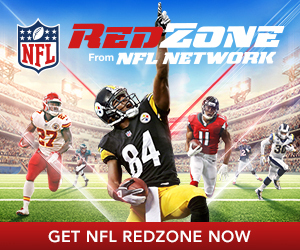 Get NFL RedZone by clicking here. Or dial 611 from any phone with Alliance service or call (605) 582-6311 from your cell phone.